eCommerce and digital payment platforms have come a long way in a relatively short space of time. Such is the level of technical sophistication that a business can offer products and services to different countries, and accept and process payments in different currencies and formats, in the time it takes to read this article. However, while the technologies may exist to take a company international at the click of a button, there are number of factors that need to be considered before a business looks to sell outside its domestic market, and for online companies especially, a crucial factor is payments. It’s important for any online business to recognise that people like to pay for things in different ways depending on their personal circumstances or where they live in the world and therefore what is familiar to them. 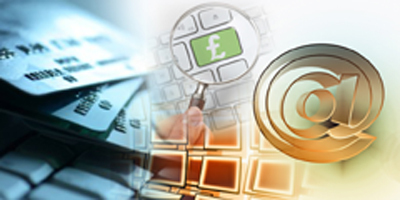 While it may be the case that local currency and global credit card merchants could be assumed to have ubiquity in terms of availability; societal and cultural factors influence payment preferences in many markets, which makes internationalising a business a process with far more layers than one might expect. It’s not just developing nations that go “off piste” when it comes to online payments. German consumers, for example, have a long history of aversion to credit cards, a mindset that is only now beginning to change. The truth is that in many markets, local payments services such as Poli (Australia), Boleto Bancário (Brazil), WebMoney (Russia) and other equivalents, rival global merchants in terms of customer preference. For any firm considering trading in these markets – and there are many other examples – integrating these payments systems is therefore critical for success. The easiest way for merchants to ensure they’re offering the right payment methods for their target markets is to work with a payments vendor that seamlessly integrates local payment preferences into its merchant services. Skrill’s Global Payment Suite for example, allows merchants to accept both credit and debit card payments and local payment methods in 200 different countries and in 12 different checkout languages. In addition to local market payment preferences, international companies need to pay close attention to the payment process itself. I’m sure all of us have, at some point, aborted an online purchase because the payment process was too complicated, the website too slow or there was concern about the security of financial data. It’s amazing how often this still happens and for a business selling internationally, getting this wrong can have disastrous and lasting consequences. To improve conversion rates, payment platforms should be viewed not only as a utility to complete a transaction, but as a business tool that can be used to enhance customer experience, building loyalty and driving repeat sales. Framed in this context, payments are rightfully elevated out of the IT department and onto the agenda of board meetings. Senior executives should be fully involved in decisions around the digital payment technologies and process. This is particularly true for companies if they are an international business already or plan to become one. Too often the time and money spent on building new markets and acquiring new customers is undone by a poorly implemented and confusing payment process when customers come to pay for their goods and services. Of course, there are many more obstacles to be overcome when expanding into international markets. Navigating domestic legislation and customs can prove especially painful, but ensuring a smooth payments process from the outset will give companies a significant head start.